We act as credit brokers and we are not a lender. †Includes £500 Deposit Allowance Paid By Manufacturer. *Excess mileage charge of 8p per mile. If you exceed this annual mileage then excess mileage charges will be applied by the finance provider at the end of the agreement should you choose to return the vehicle. Finance subject to status. A guarantee may be required. Terms and conditions apply. Unless otherwise stated, metallic paint at extra cost. Library image for illustration purposes only. 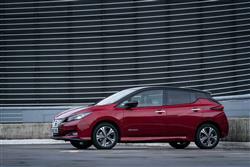 The Nissan LEAF has always been a car that divides opinion. Some love this fully electric vehicle for its bold engineering and surprisingly enjoyable driving dynamics, but to date, many other green-minded potential buyers have struggled to make a case for it. That could change thanks to the improvements made to this second generation model, which offers a further big enhancement in driving range and some really clever new technology. You're probably already aware of this - but it bears repeating: the Nissan LEAF is the world's best selling electric vehicle. You might think that would equate to sales in their tens of millions. Actually, the truth is that following its launch back in 2010 and throughout a production life that lasted nearly eight years, the first generation version of this battery-powered Nissan shifted 283,000 units. Worldwide. So we really aren't talking massive numbers here. That says less about the LEAF - a design we've always thoroughly respected - and more about the slow global take-up of battery-powered cars, which continues to lag behind industry predictions. Mostly, that's been because of the restrictions that fully battery-powered vehicles put on driving range, though that's something that's changing as automotive electric technology changes. It's certainly developed enough to make this second generation LEAF well worth another look if you couldn't quite justify the purchase of its predecessor. Let's deal quickly with the first thing you'll want to know about: driving range. We remember vividly setting off in the first generation LEAF model back in 2010 and struggling to get much more than 60-70 miles out of it between charges. 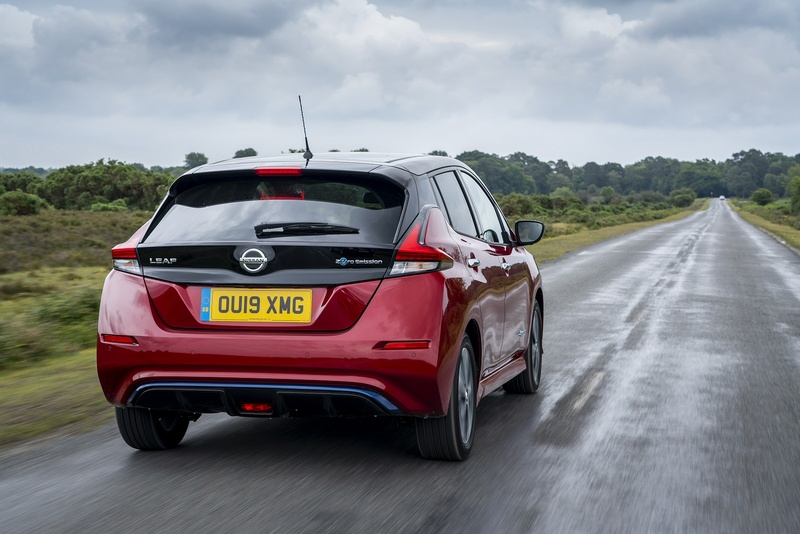 With this second generation design, Nissan claims a homologated WLTP driving range of 168 miles from the standard 40kWh model - or 239 miles (WLTP) from the alternative 'e+' version with its 62kWh battery. Even if you think in terms of a 'real world' driving range being about two-thirds of those total figures (which is our experience anyway), you can't deny that these readings represent an impressive improvement, representing a 50% increase over the final version of the previous model. The 40kWh lithium-ion battery that virtually all LEAF models use is larger this time round (the previous generation car had a 30kWh battery) but the unit is no larger in terms of actual size. It produces 110kW (which equates to 148bhp), which significantly improves on the previous model's figures of 80kW / 108bhp. 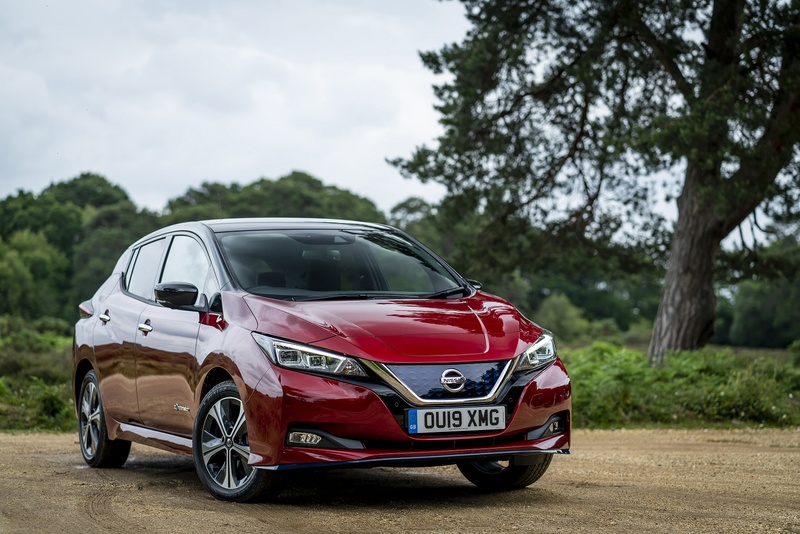 That means pulling power's up too - a rise to 320Nm - making the LEAF feel even faster from a standing start: Nissan say that the 0-62mph time has been improved by 15%, which should translate into a sprint time of about 9.8s. Previously with LEAF models, the amount of retardation you got when lifting off the throttle meant that the brake pedal was something you rarely needed to use. This time round, you'll hardly need it at all thanks to 'e-Pedal' technology that can bring the car to a complete stop when you come off the accelerator. 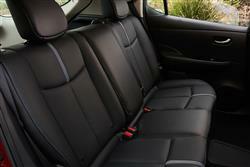 There are two routes to styling an all-electric car. Either you make it look exactly like a conventionally-engined model, as Volkswagen did with the e-Golf, or you go for something overtly futuristic, as Nissan did with the first generation LEAF model. That approach continues on with this second generation design, which gets a completely re-worked body featuring a flat floor, a sharper nose and a more aggressively tapered rear end. There are though, familiar cues from more ordinary Nissan models - things like the company's signature 'V-motion' front grille, the 'boomerang'-style lights and the kicked-up rear shoulder line for example. 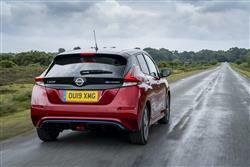 The MK2 model shape is certainly sleeker; Nissan says it now has a slippery drag coefficient of 0.27Cd. And the whole structure's stiffer too, torsional rigidity having improved by 15%. 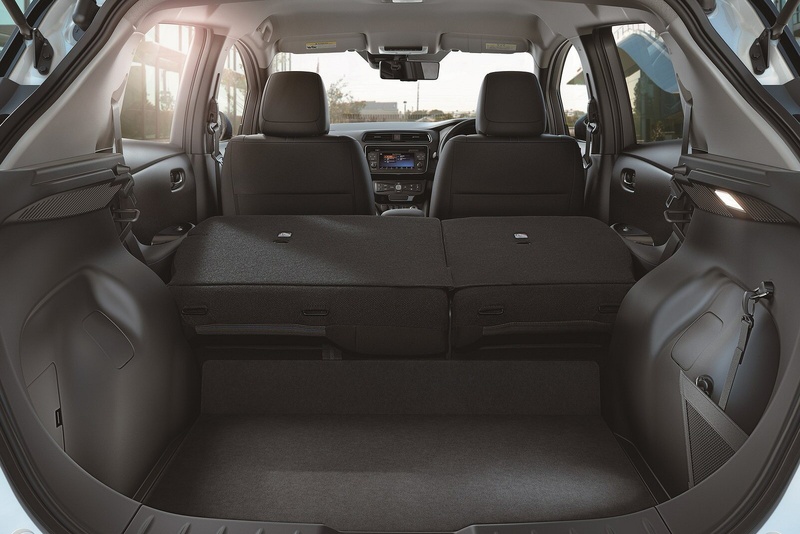 Importantly, interior practicality is additionally much improved, notably in terms of boot space, which rises from 370 to 435-litres. The designers have also tried to give the cabin more of a premium feel, with upgraded cabin materials and a smarter look for the 7-inch centre-dash infotainment touchscreen. To remind you of this car's eco-friendly remit, there's vibrant blue stitching on the seats, the dashboard and the steering wheel. 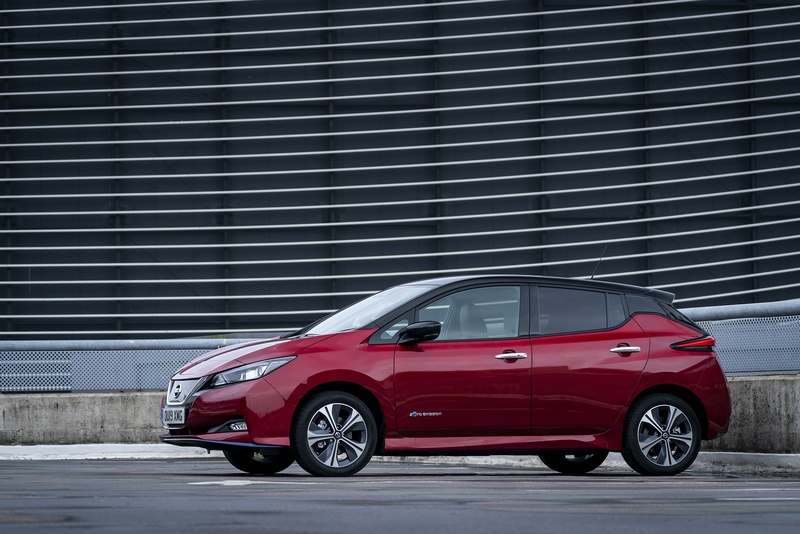 Most LEAF models feature the 40kW battery and are priced in the £26,000 to £29,500 bracket, once the government £3,500 grant has been deducted from the asking price. There are 'Acenta', 'N-Connecta', '3.ZERO' and 'Tekna' trim levels. 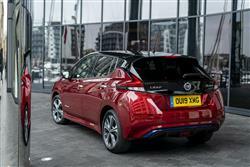 There's also a '3.ZERO e+ Limited Edition' version which features a higher capacity 62kWh battery. This costs from just over £31,000 once the governent grant has been deducted. The vast majority of customers will take ownership using some kind of finance scheme. These can make the prospect of running this Nissan look quite affordable but when all's said and done, this car still remains a relatively expensive way of showcasing your eco-friendly world outlook to the neighbours. You'd certainly have to run it for far longer than most owners will want to if you're to get back the premium you've paid over what a comparably-sized Focus-class family hatchback would have cost. 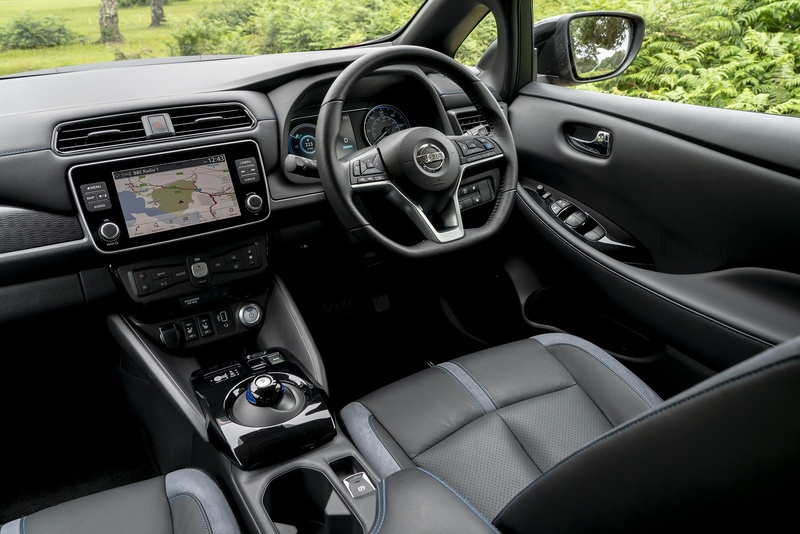 Part of this is because Nissan feels the need to offer even the most basic versions of this car with lots of sophisticated equipment. This, for example, is the only model the company makes which features its 'ProPilot' autonomous driving technology as standard, this a set-up which on motorways, can steer, brake and accelerate for you. There's also a 'ProPilot Park' system which will take control of all steering, acceleration, braking and gear selection to automatically guide the car into a parking slot. Inside, every variant get a 7-inch colour centre-dash infotainment touchscreen featuring the latest 'Apple CarPlay'/'Android Auto' smartphone-mirroring technology. 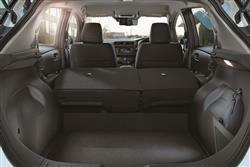 Plus there's a package of 'Safety Shield' features familiar from other Nissan models. As the UK's electric car charging infrastructure becomes more advanced, it's becomes obviously much easier to make a case for cars like this. Quite a number of 50kW charging points are springing up in our cities and once you locate one of these, you'll be able to regularly re-charge your LEAF from empty to 80% capacity in just 40 minutes. As for domestic charging, well obviously if you plug into an ordinary three-pin plug socket - as you might have to do if you're out and about, say visiting relatives - re-charging still takes ages, though you can get quite a lot of it done with an overnight charge. Of course, for home re-charging, you'll want to fit a proper re-charging wallbox. Nissan can now sell you a 7.5Kw domestic charging point that will be able to fully charge the car from empty in five and a half hours. Use a more normal 6kW charger and the replenishment time rises to about eight hours. A nice touch is the inclusion of an LED inspection light in the car's charging point so that owners won't have to rely on street lighting to connect their cars to an electric source at night. 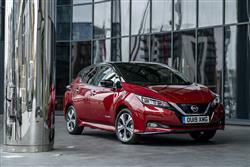 Add these quicker charging times to the increase in driving range that this generation LEAF model has delivered over its predecessor (up to an WLTP-rated figure 168 miles in the standard 40 kWh model) and LEAF ownership could now add up for people who previously couldn't have justified it. 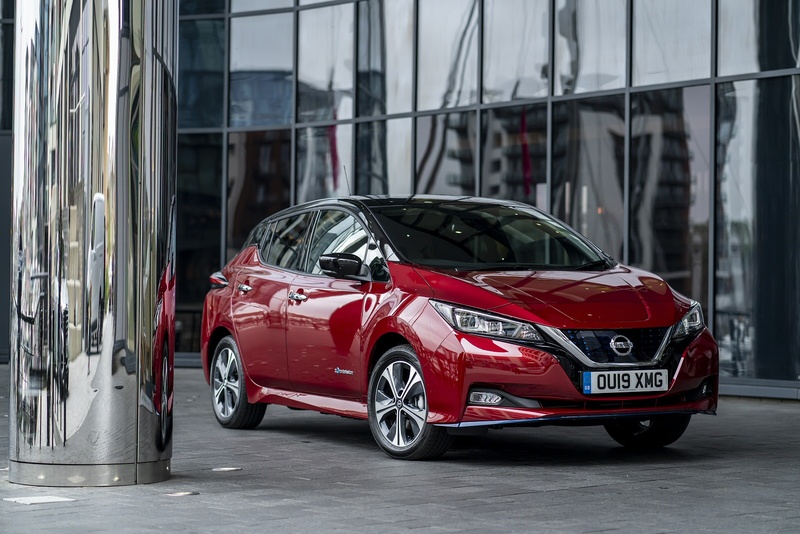 To further strengthen its case, Nissan has added to the range with a further 'e+' model using a 62kWh capacity battery, which is supposed to be able to extend that WLTP range to 239 miles. If you�re looking for a new Nissan Leaf 110kW N-Connecta 40kWh 5dr Auto Electric Hatchback for sale, you�ve come to the right place. 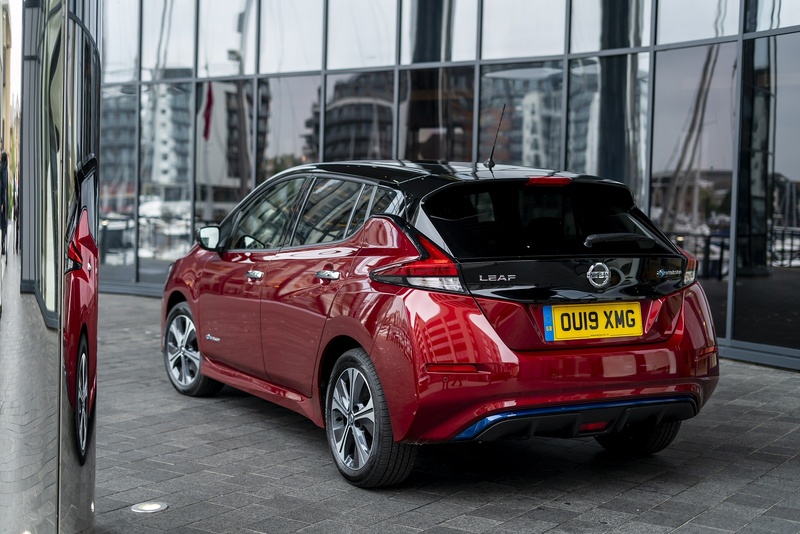 At Bristol Street Motors we don�t just have the best Nissan Leaf 110kW N-Connecta 40kWh 5dr Auto Electric Hatchback deals, we also offer friendly advice and help with all your enquiries to ensure your buying experience is a happy experience.